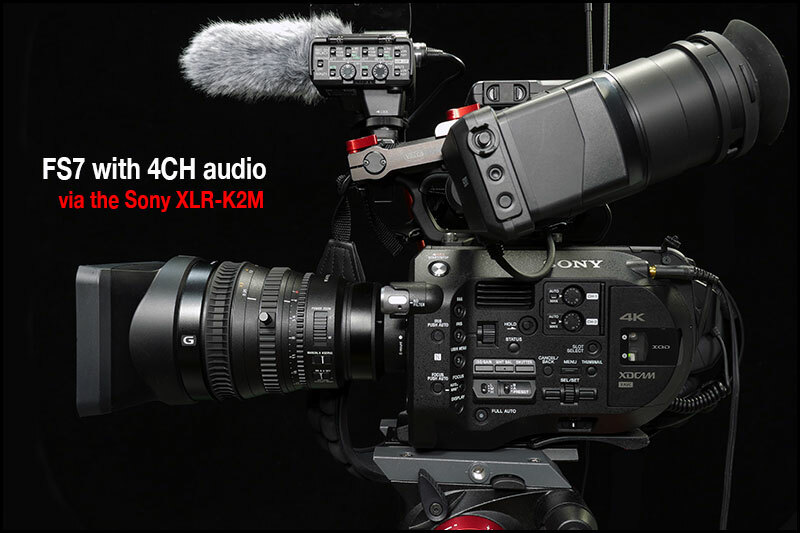 Thanks to the new V.2 Firmware update the FS7 can now record 4 channels of audio. This is a great asset with one small problem, monitoring. 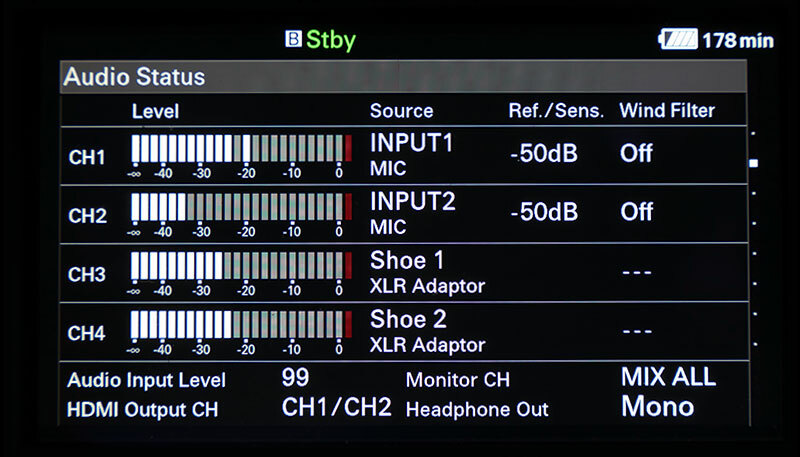 You can monitor MIX ALL, that gives you all 4 tracks on your output which for most cases will be fine but adjusting them is down the the camera person. 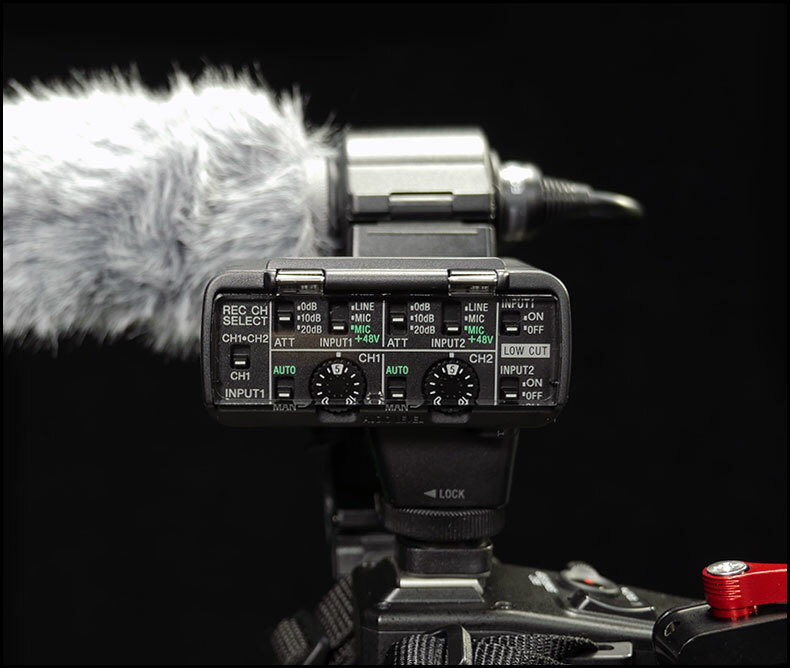 The XLR-K2M has a Multi Interface Shoe and has been purchased to use with my Sony A7s but having the ability to use it on the FS7 for 4 channel sound is an added bonus. I’d love a couple of these cameras with zoom lenses…. but the expense is killing me! HDW : Why two… if I were filming a dance show I would film it in 4K 50p LongGOP (saves on card space) and cut in on the 4K picture on an HD timeline. The one bonus you have with the FS7 over the GH4 is 4K 50p, servo zoom and a far cleaner picture at higher ISO. Ooo[s … I just realized that it’s impossible on the X70, since you have to remove the handle to use the multi-interface. Too bad they didn’t put the mult-interface on the handle as well. Has to be 2 cameras Philip as I need two different angles. I can make it seem like even more cameras on a HD timeline, but need 2 separate cameras to start with. I’m keeping my eye out this year for something suitable as there is bound to be something come along. Pity the HC-X1000 was bad in low light as this would have been perfect otherwise!